We will be performing an on-field postgame concert at Citizens Bank Park on Saturday, June 8th after the Philadelphia Phillies host the Cincinnati Reds. 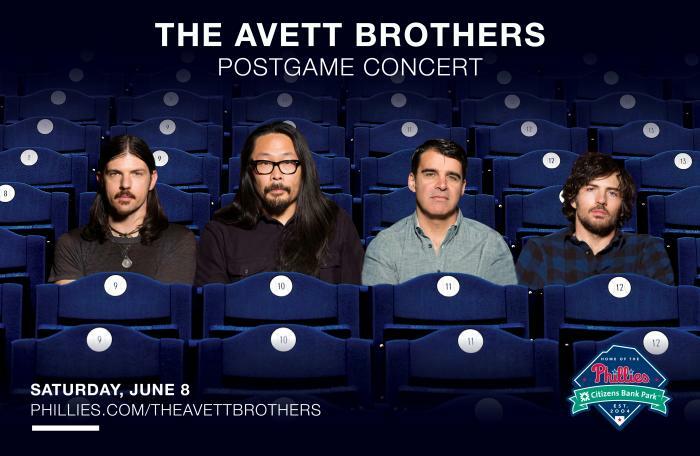 Game time is 4:05pm - the concert will begin at the conclusion of the game. Your game ticket is also your concert ticket - no additional purchase required. Click here for further details.